Rhamzi Burks from Bridgeport, CT is a freelance performing artist. She is also the Founder of Hn.trepid Dance, a contemporary dance project integrating movement and social advocacy for mental health and wellness. She has showcased her work in The Choreographer’s Seminar at NYU Tisch, The American College Dance Association and The MetroWest Dance Festival 2018. Rhamzi also currently dances with Ma’at Works Dance Collective. As part of her early training, she attended The Regional Center For the Arts high school and the Performing Arts Center of Connecticut on scholarship. Rhamzi has attended The Movement Invention Project NYC and Earl Mosley’s Institute of the Arts summer intensive. 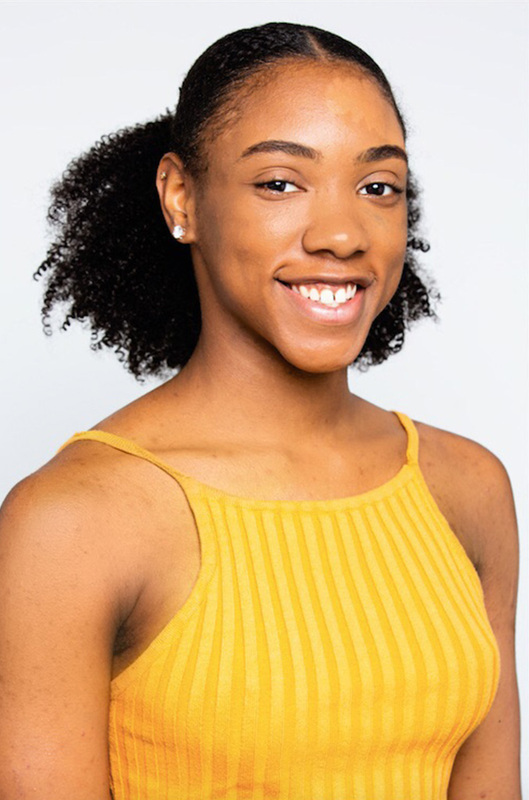 Throughout her training she has had the pleasure of performing works by Martha Graham, Fredrick Earl Mosley, Maxine Steinman, Hope Boykin, Alexandra Beller, Stacey Tookey, Jesse Obremski and Nathan Trice. Rhamzi received her BFA in Dance from Montclair State University.